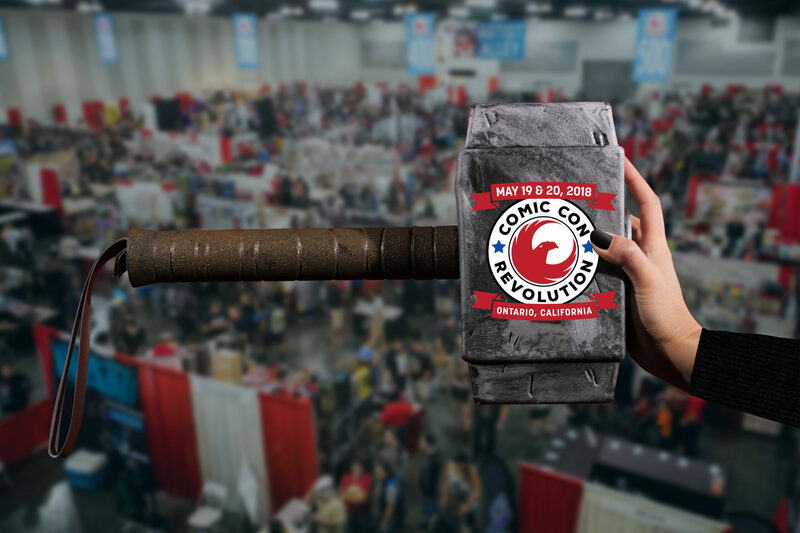 Ontario, California March 14, 2018 – Comic Con Revolution returns to The Inland Empire and Ontario Convention Center, located at 2000 E Convention Center Way, Ontario, California this May 19 & 20, 2018 with comic book icon Chris Claremont. 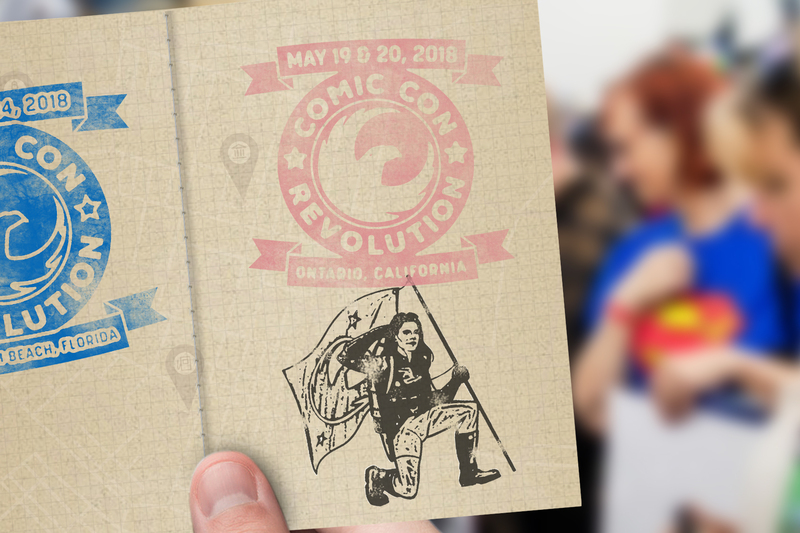 Comic Con Revolution is proud to play host to this rare Southern California appearance. Chris Claremont, famous for his unparalleled 17-year unbroken run writing The Uncanny X-Men for Marvel Comics from 1976 to 1991 amongst other works, will be joining a guest list featuring some of the comic industry’s most talented artists and writers. He will be signing autographs, talking with fans and participating in panels all weekend long. 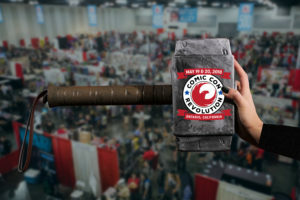 Comic Con Revolution will feature over 100 guests, two full days of programming totaling to over 100 panels, 70,000 square feet of exhibit space featuring over 150 Exhibitors, over 175 creators Artist Alley, the return of The Cosplay Revolution Costume Contest hosted by Ming Chen (AMC’s Comic Book Men) and much more. 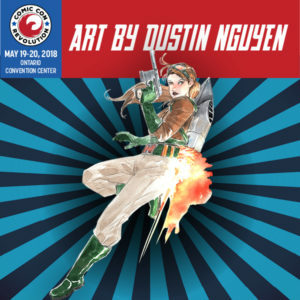 Comic Con Revolution is an event for seasoned comic fans as well as first timers and families who want to experience the excitement of a true comic con. Our guest list features talent that fans will instantly recognize. Guests currently scheduled to appear include Jason Aaron (Star Wars, Thor, Scalped), Greg Baldwin (Samurai Jack, Avatar: The Last Airbender), Sandy King Carpenter (Film Producer & Comic Writer), Howard Chaykin (American Flagg!, Satellite Sam), Ming Chen (AMC’s Comic Book Men) Matthew Clark (Doom Patrol, Outsiders), Chris Claremont (Uncanny X-Men), Neo Edmund (Power Rangers), Carols Ferro (Gears of War), Derek Dridolfs (Li’l Gotham, Batman: Arkham Unhinged), Steven Gordon (X-Men: Evolution), Travis Hanson (Life of the Party: Realities of an RPG’er), Ray-Anthony Height (X-Men Blue, Superb), Tom Hodges (Star Wars: The Clone Wars), Herb Jefferson Jr. (Battlestar Galactica), Doug Jung (Star Trek Beyond, The Cloverfield Experiment), Scott Koblish (Deadpool, Excalibur), Jim Krueger (Universe X, Earth X), Mike Kunkel (Herobear and the Kid), Shawn Martinbrough (Thief of Thieves, Luke Cage Noir), Ron Marz (Green Lantern, Witchblade), Mike Mathew (Star Wars, She-Hulk), Jonboy Meyers (The Inhumans, Teen Titans), Todd Nauck (Young Justice, Teen Titans Go! ), Dustin Nguyen (Descender, DC Secret Hero Society), Fabian Nicieza (Deadpool & X-Force), Diane Pershing (Batman: The Animated Series – Voice of Poison Ivy), Stan Sakai (Usagi Yojimbo), Peter Shinkoda (Daredevil, Falling Skies), Cat Staggs (Wonder Woman, Smallville), Art Thibert (Ultimate Spider-Man, Trinity), Tommy Walker (Daredevil, Henry Danger), Marv Wolfman (Marvel’s Blade, New Teen Titans) and Timothy Zahn (Star Wars Novelist). Additional announcements will be made over the coming weeks. Adult (18+) full weekend tickets are $40, teen full weekend tickets (13-17 years-old) are $30, adult Saturday tickets are $25, teen Saturday tickets are $18.75, Adult Sunday are $20, teen Sunday are $15 and as with all out shows kids 12 and under are free with the purchase of an adult ticket. One paid adult ticket allows for up to two free children’s ticket. Ticket prices increase when purchased on site so order in advance and save.